As we enter the heart of Q3, and we’re past the influence of the initial false euphoria over the Spain bank bailout, the heart of earnings season, and Fed Chairman Bernanke’s semi-annual policy testimony behind us, it’s a good time to review the USD’s prospect for the rest of the summer. 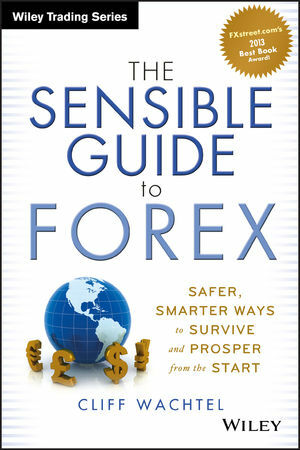 As I discuss in depth in my book, The Sensible Guide to Forex, (see link for full description and reviews), one of the key principles of conservative, safer, simpler forex trading or investing is to find long term trends and ride these via a variety of techniques discussed in the book. Because currencies trade in pairs, and because it takes a long time to reverse the economic fundamentals of one nation’s economy vs. another’s, forex markets produce some of the steadiest long term trends of any financial market. Thus they present excellent opportunities for more conservative long term trades or investments. For Longer Term Trades: Either via directly trading in the pairs themselves or a via variety of indirect investments in these pairs via social trading or standard and binary options for capital gains or steady currency diversified income. For Longer Term Investments For Capital Gains Or Income: Via a variety of instruments and assets denominated in them like stocks, bonds, and real estate. So it pays to look at some of the more promising long term forex trends, particularly when they’re relatively young and have just begun to prove themselves from both a technical and fundamental perspective. Fundamentals are what drive longer term trends (although there is a degree of interplay between fundamentals and technical factors in the short term. As we’ve noted in the past, because the EURUSD pair alone accounts for well over 25% of all forex trade, these two most widely held currencies tend to push each other in opposite directions, like children on a seesaw. Think about it. For every 4 Euros bought or sold, over one USD is sold or bought. So, any weakness in one of these two grants considerable strength to the other, and vice versa. For the coming months, the EU and EUR are likely to continue to deteriorate. It was still just adding more debt to those who needed to cut debt. It was too little too late. The EFSF is too underfunded to inspire confidence, and the ESM may well not be operational until 2013. Even if it is, its funding and powers are as yet unclear. Even if these funds were ready and loaded, with Spain 10 year bond yields back around 10% and more Spanish regions like Valencia seeking aid and weighing on the central government along with the banks, Spain is slowly but surely sliding towards need for a full sovereign bailout which the EU can’t afford. It was yet another country specific solution that won’t prevent speculative attack on another nation like Italy (which is what’s currently happening). Thus we’ve still got multiple, active default threats from both Spain and Italy, either of which is too big to keep from defaulting under current conditions, and likely taking down the EU with (assuming Greece somehow manages to avoid doing so and starting a wave of other sovereign and banking defaults on its own). Yet even if we assume Spain and Italy defaults can be prevented, it’s unclear how the EUR can avoid continued weakness. The GIIPS are unlikely to avoid default without Germany and other funding nations agreeing to accept responsibility for GIIPS debts. That will never happen without a well run us of Europe with a fully empowered central bank and enforced rules of responsible economic management. Only this might convince Germany and other funding nations that a repetition of the current crisis can be avoided. Even if all EZ members were ready to cede the sovereignty needed to do this (ceding control over budgets, taxation, borrowing and all kinds of banking and other financial regulation), we see little evidence of that, they don’t appear to have the time or money to complete a process that could easily take 5-10 years or more. Greece has missed about 70% of the requirements set out in the last bailout and so in theory should not be eligible for any more cash, meaning that it will default in a matter of weeks. Even if the EU finds a way around that, and they may (relatively small sums needed in the near term), it’s unlikely that Spain or Italy will be able to avoid needing a bailout in the coming years. Currently the EU bailout funds are woefully underfunded for even one such sovereign bailout never on the magnitude of Spain or Italy. There is currently no source of interim funding to prevent defaults while the US of Europe is being organized. As we’ve explain in depth in my book, The Sensible Guide To Forex (out September 4th), a weak Euro, automatically pushes the USD higher. Essentially, that’s because the EURUSD pair (currencies always trade in pairs) alone accounts for almost a third of all forex trade. So for every 4 EUR sold, a US dollar is bought, and vice versa. The risk that a worsening EU crisis or wave of sovereign and banking defaults (that would dwarf the 2008 crisis spawned by the mere collapse of Lehman Brothers), combined with (or perhaps causing) a global slowdown benefits safe haven assets like the USD. In times of panic, which the EU crisis is capable of generating, the USD becomes THE most sought after currency of even more so than the traditional top safe haven currency, the Japanese Yen. For a summary of the 5 reasons the EU still looks doomed, see here. The pullback in virtually all major economies favors safe haven currencies like the USD. With virtually all major central banks in neutral or easing mode in response to the global economic slowdown, the USD might not suffer much from further stimulus. The central banks in charge of the other two primary safe haven currencies, the JPY and CHF, are both actively engaged in suppressing the value of their currencies in order to stimulate their exports. Thus in a time that favors safe haven currencies, the USD has less competition and is in an overall multi-month uptrend vs. the CHF despite Switzerland’s healthier economy and lower debt levels, and vs. the JPY despite Japan’s better balance of payments and higher household savings rate. Further effectiveness of more stimulus is unclear. Bernanke has told Congress that he believes a better way to prop up the economy would be for Congress to defer the scheduled impending tax increases and spending cuts (aka “the fiscal cliff). Last week’s GDP forecast beat, which reduces the urgency for Fed action. Both central banks are actively working to suppress the value of their currencies in order to protect their more based economies. That leaves the USD as the only safe haven currency whose central bank isn’t actively trying to suppress its value (although possible future stimulus measures might have the same effect. In sum, given the above, there’s limited downside to the USD (though its vulnerable to short term pullbacks and another 20% gain vs. the EUR and other risk currencies is quite conceivable as long as the EU continues to fail to stabilize its sovereign debt and banking crisis. So given the above, it’s not surprising that the USD is to varying degrees in multi-month up-trends vs. all major currencies. Note for those unfamiliar with reading currency pair charts. They move in the direction of the currency on the left. 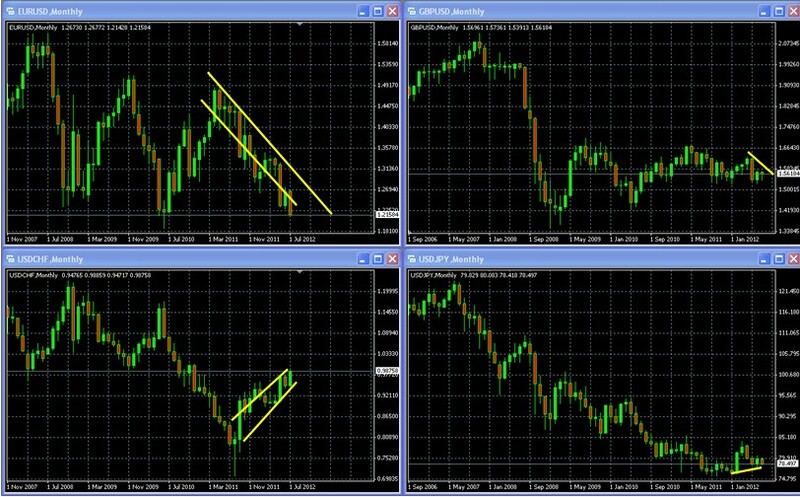 Thus the falling AUDUSD chart means that the USD is rising vs. the AUD. In sum, the rest of Q3 is likely to see the USD steady or higher. Until the above fundamentals reverse, the trends are likely to continue. If the EU blows up, then the USD could well move up sharply. For the coming months, it’s hard not to be a dollar bull. So what do you do? Just like any prudent investor diversifies by asset and sector, so too should they diversify their currency exposure. Unfortunately, most investors remain almost completely in assets denominated in their local currency. Given the long term fundamental problems and central bank policies behind the USD ( also EUR, JPY and GBP, to name a few), this is a good time for those overweight in US dollars to formulate a shopping list of non- USD denominated assets. Then periodically re-make it, and check it twice. So when the USD’s multi month/year trend fades, you can sell what looks naughty, and buy what looks nice, with relatively strong US dollars. Then ride both assets and the given currency higher. 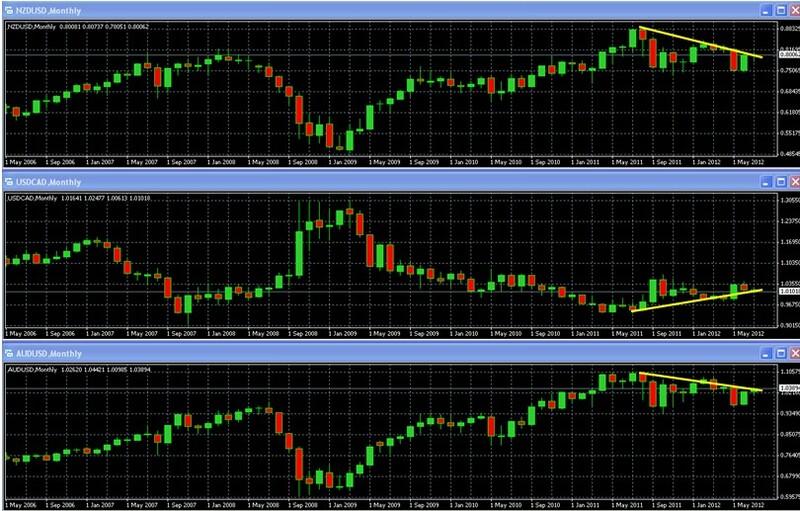 Proceed to part 2 for a look at the USD bearish forces that could end the USD’s seemingly endless summer. DISCLOSURE /DISCLAIMER: THE ABOVE IS FOR INFORMATIONAL PURPOSES ONLY, RESPONSIBILITY FOR ALL TRADING DECISIONS LIES SOLELY WITH THE READER. IF WE REALLY KNEW WHAT WOULD HAPPEN, WE WOULDN’T BE TELLING YOU FOR FREE, NOW WOULD WE?